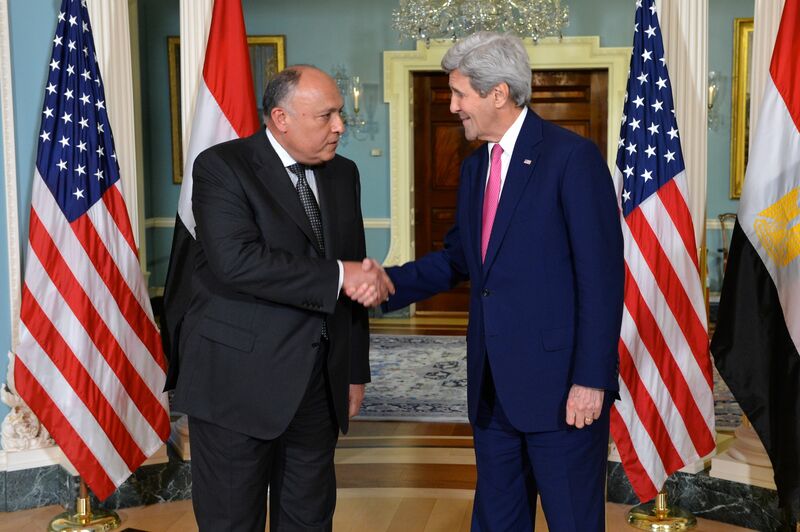 Secretary John Kerry and Egyptian Foreign Minister Sameh Shoukry signed the first bilateral agreement between the U.S. and an Arab country to protect cultural heritage at a ceremony in the historic Treaty Room of the U.S. State Department this week. Such Memoranda of Understanding (or MOUs) are a little used but effective diplomatic tool for the United States, especially given the threat now facing the Middle East and North Africa’s long and significant history from a rampant black market in plundered ancient art. But more importantly, in addition to safeguarding the past, these agreements also close the enormous U.S. art market to illicit antiquities that may be funding terrorism. The romanticism of Egyptian history—from the boy King Tut and his golden tomb to Cleopatra, and the Great Pyramids, which are now the sole remainder of the ancient wonders of the world—is celebrated around the globe. Yet during Egypt’s time of political crisis, organized criminals began to chip away at these tangible representations of these legends. Today, ISIS threatens to bomb the Pyramids—and has made several failed attempts. Protecting culture is an important end in and of itself. Add the potential for violent extremist organizations using illicit antiquities to support terrorism, and it is essential that the United States close its borders to become a funding source for these violent causes. Fortunately, the legal tools exist, as today demonstrates, as well as the necessary political will to take action. 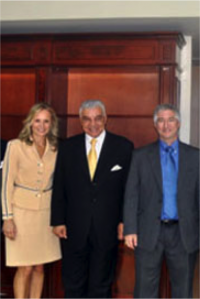 ‍(Left to Right) Antiquities Coalition founder Deborah Lehr, Former Minister of Antiquities Zahi Hawass, Director of the George Washington University Capitol Archaeological Institute Eric H. Cline. I have spent the last five years shuttling back and forth between Cairo and Washington, DC, and know that there are many in both countries working tirelessly to protect our shared heritage. During that time in Egypt, The Antiquities Coalition has worked through two Revolutions, three different governments, six Ministers of Antiquities, and six Ministers of Foreign Affairs. While the names may have changed on the door, the support for protecting their heritage never wavered. The same dedication exists in the State Department and several of the archaeological organizations. The signing of this agreement demonstrates the seriousness with which both Egypt and the United States take this threat. Egypt’s action, as a historic leader in the region, will set a new standard for others to meet. Jordan, Lebanon, Morocco, Tunisia, and Mali— all face similar threats to their heritage. And steps should be taken to more fully enforce the existing legislation protecting Syrian and Iraqi antiquities, including additional training for Customs and Border Enforcement at key transit points into the United States. “We hope that it becomes a roadmap for the protection of these antiquities to preserve them for generations to come and to preserve them against the treachery of those who want to destroy them and to wipe out this commonality of our humanity,” said Egyptian Foreign Minister Shoukry. The Antiquities Coalition salutes the State Department for their patience and hard work in bringing this agreement to a conclusion. Assistant Secretary Ryan, Deputy Assistant Secretary Larry Schwartz, and their teams have worked for almost three years to bring this historic agreement to a conclusion. For Egypt, this negotiation was started through the vision of then Deputy Chief of Mission Yasser el Naggar who was supported by former Ambassador to the United States and now Foreign Minister Minister, Sameh Shoukry. Four Ministers of Antiquities have been involved with this agreement: Dr. Zahi Hawass, Dr. Mohamed Ibrahim, Dr. Mohamed elDamaty, and finally, the current Minister, Dr. Khaled elEnany. Foreign Minister Shoukry and his team at the Ministry, as well as at the current Embassy staff, including Ayman Aldesouky, doggedly tracked this agreement to bring it to a conclusion. We congratulate Egypt for taking this bold step, and for setting the standard for the rest of the Arab Countries in this fight against violent extremism.